Thorougly mix 500 lbs. 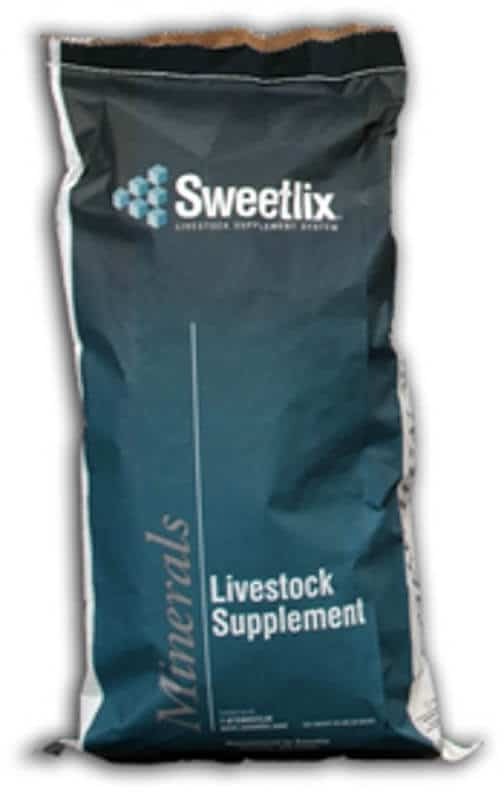 of SWEETLIX® A + B Stocker Mineral with 1,500 lbs. of non-medicated feed. Feed one pound of this medicated mixture to provide 350 mg CTC and 180 mg lasalocid per head per day. Cattle should recieve 350 mg CTC and not less than 60 mg nor more than 300 mg lasalocid per head per day for the stated drug claims. Thorougly mix 500 lbs. of SWEETLIX® A + B Stocker Mineral with 1,500 lbs. of non-medicated feed. Feed one pound of this medicated mixture to provide 350 mg CTC and 180 mg lasalocid per head per day. Cattle should recieve 350 mg CTC and not less than 60 mg nor more than 300 mg lasalocid per head per day for the stated drug claims.WARNING: A withdrawal period has not been established for this product in pre-ruminating cattle. Do not use in calves to be processed for veal.